EBI 4 - The lightweights! Watch the replay of this epic event right here! Replay valid until August 31st! 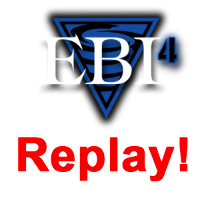 EBI 4 was an incredible groundbreaking event. One of if not, the most exciting grappling tournament on the planet! We won't give away any spoilers but you're about to see some of the most high leve, nogi grappling today! Featured athletes include: Joao Miyao, Joe Soto, Eddie Cummings, Russ Miura, Geo Martinez, Baret Yoshida and many more! Plus teen prodigies Grace Gundrum vs Jessa Khan, Cora Sek vs Alyssa Wilson, & Kyra Batara vs Brazilian star Talita Alencar! This is gonna be nuts!